About Tuck Interiors Home Consults! Starting at $160/ hour. Have you been toying with the idea of changing things up in your home but not sure where to begin? The process of taking on any renovation can be overwhelming. Let us help you with our Home Consultation Service! 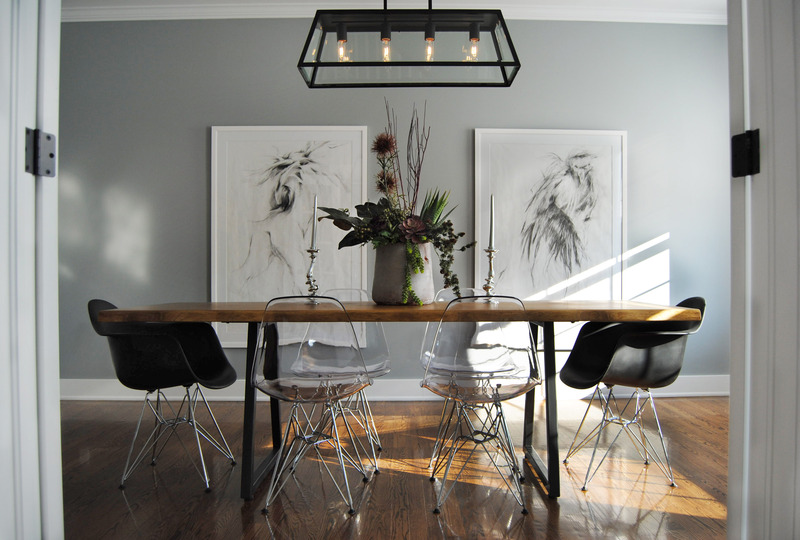 Continue reading to learn more about home consults from Tuck Interiors. Scheduling a home consult with Tuck Interiors & Judith Mackin is the natural first step when considering taking on any project in your home. Judith will visit your home and offer expert advice on room layout, furnishings, lighting, art, flooring and paint choices. She’ll help you reimagine everything from a one-room makeover to a complete renovation. Good Design begins with a plan. And that plan will save you money. How Much Is a Home Consult? Home Consults are $160/ hour for Saint John and Surrounding Area. If your home is more than a 20 minute drive from Uptown Saint John, there will be an additional travel fee. Please contact us to get a price for your area. 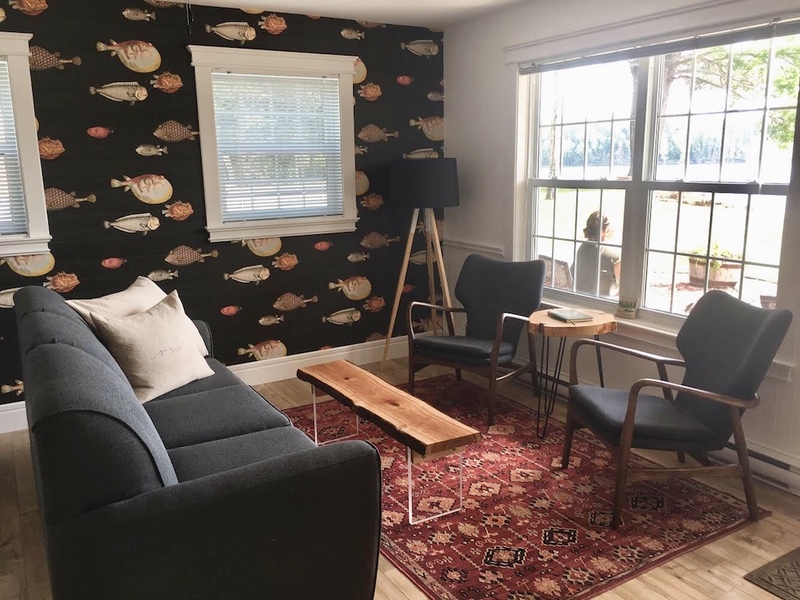 Since 2008, Judith and the incredible team at Tuck Studio and Tuck Interiors have helped design the interiors of hundreds of homes in Atlantic Canada (and the odd few in America), and have over 50 commercial projects under their belt, including restaurants, bars, dental practices, start-ups, and medical offices. Her work has been featured in the Globe and Mail, HGTV, Slice TV, W Network, East Coast Living Magazine, Maritime Edit and Progress Magazine to name just a few. Along with an abiding commitment to service and value, key to Judith’s vision is a focus on Canadian furniture companies, original art and, not least, any reason to share a celebratory beer or a good glass of bubbly with her clients! Follow Judith on Instagram: @judithmackin where she shares what inspire her, photos of her friends and family, as well as ongoing projects. What Can Be Expected During A Home Consult? During your consult, Judith will walk with you through your home, focusing on the areas that require her attention and advice and answering any questions you have along the way. During the walkthrough, Judith will give helpful tips and advice on how to improve each room. It’s incredible the amount of information you can receive within an hour! In order to get the most out of your consult, we recommend doing the following to prepare for your consult with Judith. – Make a list of questions, organized by room. – Take time to walk through your home, on your own, identifying what changes you’d like to see. – Pick out the things that you really like and probablay don’t want to change about your home. It’s easy to say what you don’t like, but selecting things you do will help Judith understand your style and needs. It’s AOK to want to keep certain things. – Identify how you envision using each area of your home. – Think about budget. It doesn’t need to be detailed or accurate, just what you hope to spend. These simple preparations will help to ensure you get the most out of your home consult. Remember to have a pen and paper ready to jot down any notes. Or if you’d prefer to record on your phone or camera, that’s a-okay as well! What’s Next, Before A Home Consult is Finished? Nearing the end of your consult there will be an opportunity to discuss next steps to get your home to where you’d like it to be. If you feel that you require further assistance and planning, you can choose to hire Judith and Tuck Interiors for additional services. There is no pressure to continue the relationship, or we are completely happy to take the relationship to the next step. After the of the Initial Home Consult, What Additional Services Are Offered? Some additional services we provide are listed below. If you decide you’d like to continue working with us, we’ll put together a quote for our estimated fees prior to beginning any work so you know exactly what to expect. We offer creative space planning to maximize the rooms in your home. This service can include floor plans and concept drawings to demonstrate layouts and intent. Recommendations for paint colours, wallpaper, or other wall treatments throughout your home. Through Tuck we represent Cole & Son Wallpaper & JF Fabrics wallpaper! Project management can include things such as coordinating with trades, maintaining a schedule, and keeping track of deliveries. We’ll present you with an easy to understand and ready to purchase furniture, lighting, and decor package, customized to your needs and style. No shopping required! If you’re making over a kitchen or bathroom, we’ll happily assist with the layout, material recommendations, and more plus we’ll work with your contractor or builder to bring the dream to life. 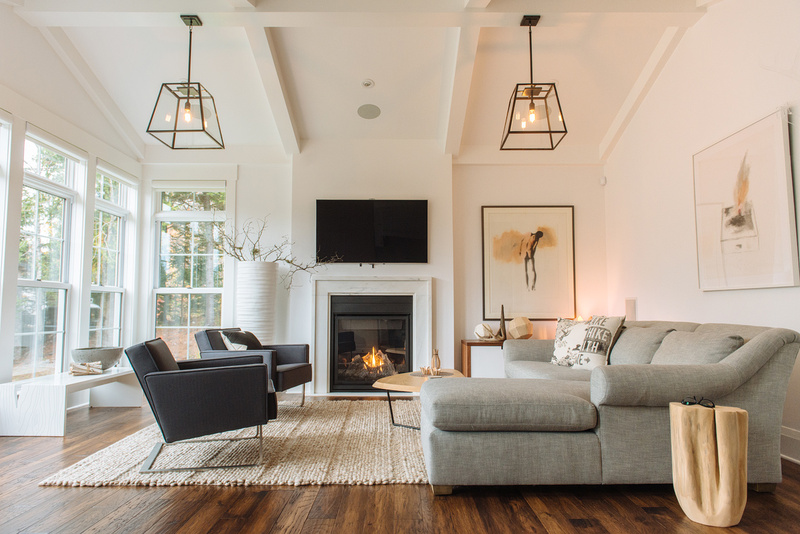 We’re proud to represent Ceragres Tile at Tuck and can make recommendations on tile sizes, colours, finishes, and patterns to perfectly suit any room in your home. Q: Do you mind if I invite friends or family to join us during the consult? A: Please do! The more the merrier! Q: Is it alright if I invite my contractor or other trades to the consult? A: Absolutely, we look forward to meeting them! That being said, it’s a good idea to schedule some time for a one on one walk through of the home prior to their arrival. We suggest asking your contractor to join us for the second half of the consult. Q: Are you comfortable with cats and dogs? A: Comfortable? We LOVE them! There’s nothing better than being greeted by a happy fur buddy. Q: What should I have ready for our consult? A: To get the most out of your consult, be prepared with a list of questions, a clear agenda of what you’d like to discuss, and something to write or record with. Q: I live outside of Saint John. Is it still possible to schedule a home consult? A: Absolutely! We’re happy to visit you wherever you are. Keep in mind there will be additional fees above the regular $160/ hour for any home consults outside of Saint John. The fees will be based on how far away you are. Contact us for a price. Q: What happens if I need to reschedule or cancel my appointment? A: Life happens, we get it! If you need to reschedule or cancel we simply ask that you give us as much notice as possible. Q: Are you able/ willing to offer advice remotely using video chat or photos? A: Absolutely! We always prefer to visit your home in person but if you live away, we can happily arrange a home consult via video call. We can offer advice on furnishings, decor, layouts, and more. We’ve worked with clients as far away as Washington to help reimagine their homes. To schedule a home consult with Judith, please fill out our contact form. Include any details you’d like to share in your message and we’ll reach out to setup a date/ time to meet with you. Each of the projects featured below began with a home consult!